Now its pretty slow, can't lie. So what I did was I used a hand pump to get around 250. Then I let the compressor bring it to 300, takes bout a minute or 2. I actually brought it over 300, maybe 325 ish? It's silly because the pump doesn't stop itself, it'll keep pumping past the 300psi if you let it, so you gotta watch it. Pump was $20, power supply was free (for me), though you can spot a cheap one off Newegg for bout another $20, so it's pretty inexpensive. According to GGDT I should be hitting 554 FPS @ 300 psi, but I plan on bringing back the 24'' barrel sometime, which should be leaving me at 625 FPS, POWAH! Hope this helps some of you =]. How high do fridge compressors go? vng21092 wrote: How high do fridge compressors go? Are the pressures posted on the unit themselves or is that just a general range? vng21092 wrote: Are the pressures posted on the unit themselves or is that just a general range? Build a gas booster...can make 4500psi +...and at a good volume. 1" bore x 3" stroke. Think it cost me ~$100 cdn for parts and materials. Run the fridge compressor output through a filter or two to remove the oil and moisture, then into a small storage tank (co2 fire extinguisher, then feed the booster...then into a suitable high pressure vessel. i am lost ! what's a booser ? bravootome wrote: i am lost ! what's a booser ? 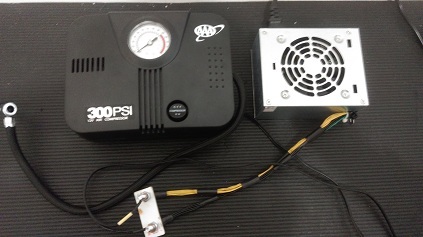 Booster is like a pump that pumps lowpressure air to high pressure. 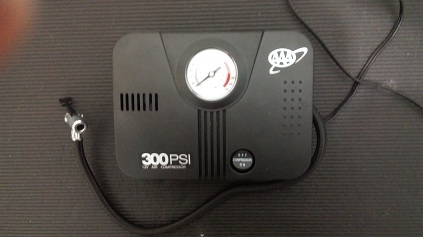 It works only with air/pressure and it uses difference in piston areas to boost pressure. So you have a low pressure/large area piston that moves a smaller piston with low area for getting force to pump high pressures. If you mean using hydraulic cylinder with air they might rust because those are made of normal steel. Water condenses in the cylinder when using high pressure, like in normal compressors. Maybe if your air is dry or lubrication is used it might be ok.. not sure of that..
Fridge compressors are way better than tire compressors in every respect. Now when it comes to high pressures... even 400 psi will freak you out at first and you'll surely run into problems with sourcing parts that can handle such pressures (most stuff is only rated to 10 maybe 20 bar officially and not everything handles overkill well). What's more there's the law of diminishing returns/the speed of sound problem - at a given point increasing pressure results in little increase in muzzle velocity. Unless you're building a specialised high pressure pneumatic and use machined parts or expensive parts, you won't need more than fridge compressors can generate. So... the tire pump broke. It didn't actually break, one piece broke, one of the gears, epoxy couldn't save it though, oh well =\. Good news is, found out I was able to push my floor pump a bit past it's limit (260 psi). Last charge ended at 360 psi (100 over O_o), pretty sure I can go a bit further, but I don't want anything exploding. 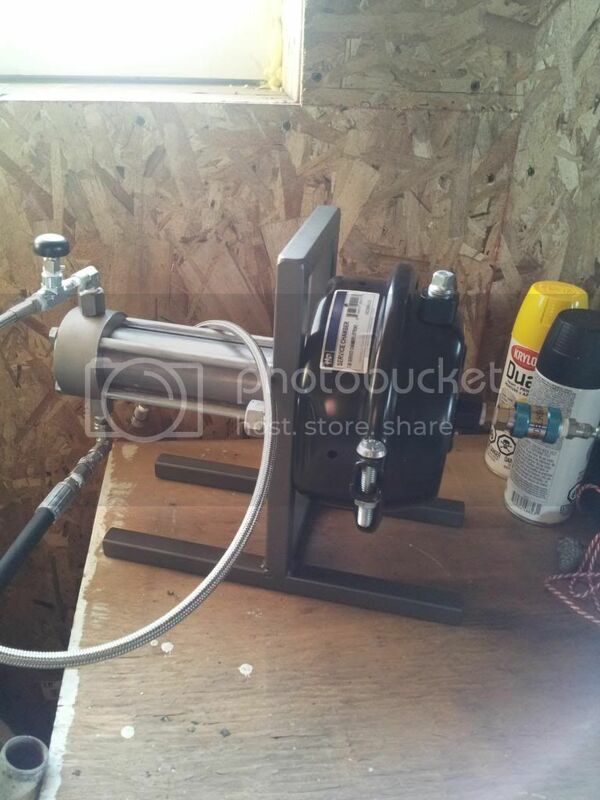 Have you considered building a stirrup pump? Fairly certain you would find instructions in the how to section for a stirrup pump, as well as instructions on how to put together a fridge compressor. One or the other will certainly satisfy your needs. Bravo...the "inlfador" you linked to is a two stage compressor...better than a fridgy or a booster IMO. 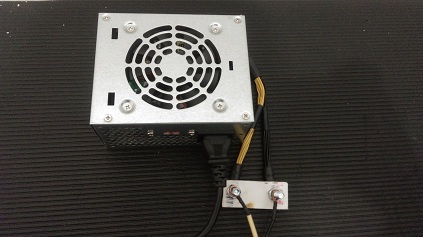 Googel "shoe box compressor". Hydraulic cylinders are somewhat usable, but due to the amount of modification required, it would likely be better to start from scratch and use "micro hone" mechanical tubing for the cylinder. Biggest challenge is keeping dead space to a minimum in the cylinder head.